VOLCANO TRAVEL LLC Consulting specializes in customized travel experiences for the discerning traveler. We understand the hectic pace of today’s society and understand the importance of taking a well deserved break. We are dedicated to helping you take your well-deserved break by planning a meaningful vacation for you, your family our your entire office staff. We are consistently recognized for our expertise, knowledge, service and attention to detail, and our agency’s reputation is highly regarded. 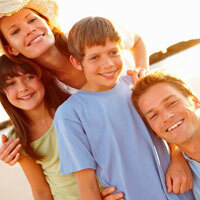 We are capable of customizing vacation experiences to over 15 countrys around the ASİA. However, we do offer specialized experiences in destinations such as Azerbaijan, Georgia, Turkmenistan, Khazakistan, Tajikistan, Khirgizistan, Russia, Turkey, Ukraine and much more.